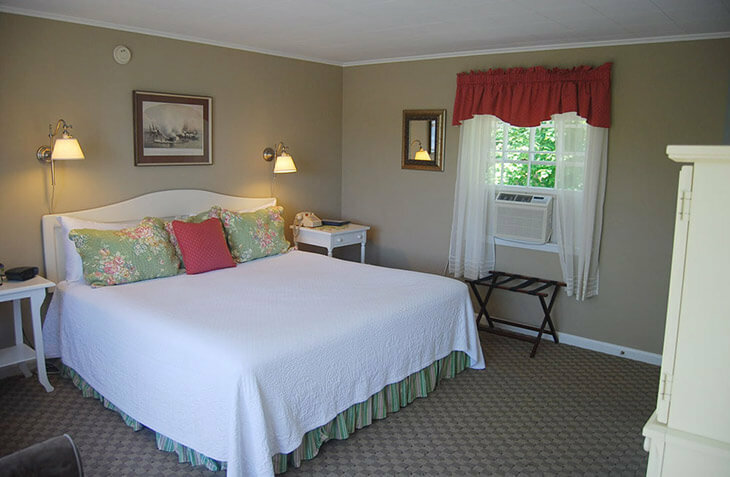 Escape to this comfortable room in our boutique hotel near Portsmouth, NH. 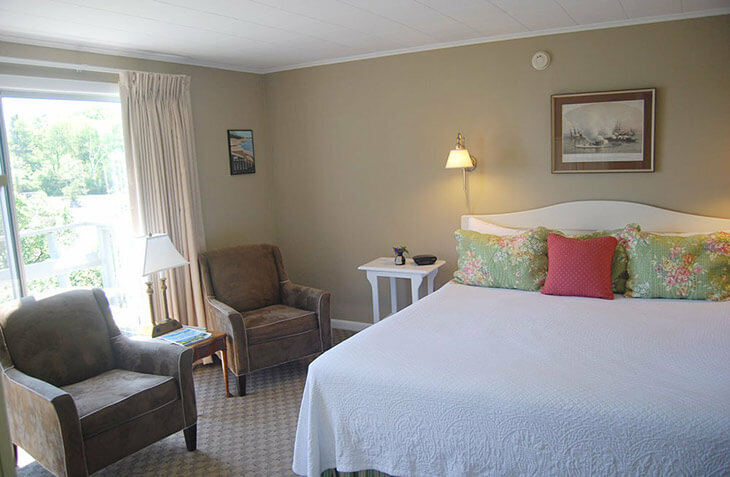 This second floor room in the Lookout building offers a roomy king bed, private bath, private deck, and a water view. 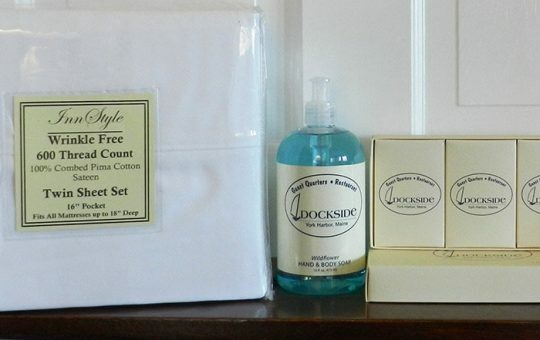 Give the gift of our wonderfully scented hand and body soaps, or spoil your loved one with our popular cotton sheets.